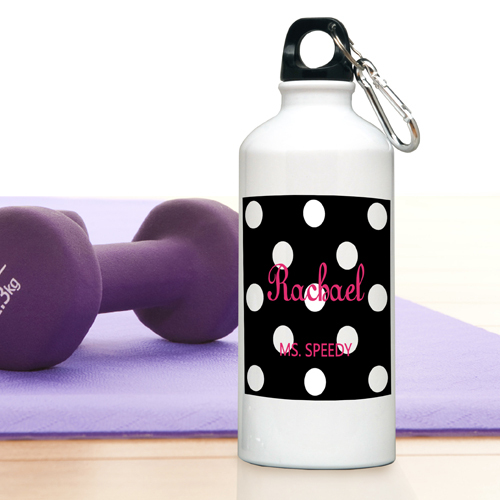 * With polka dots all the rage, our new Personalized Polka Dots Aluminum Water Bottle is a fashionable way for her to stay hydrated. 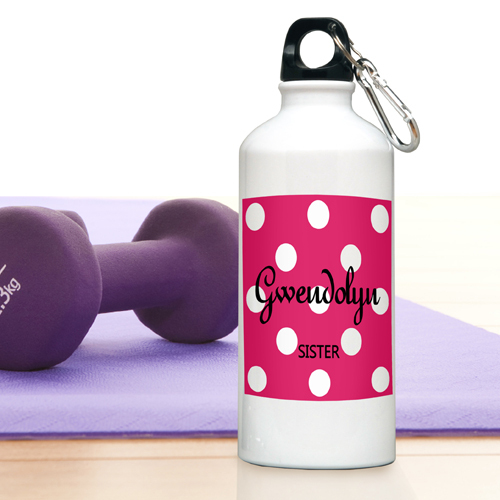 * Available in six dazzling colors to match any personality, this 20 ounce bottle's design is contemporary and eye-catching yet classy and suitable for a variety of activities. * Bottle features a leak-proof screw-on lid with attached carabiner. * Size: Holds 20 oz.